So TODAY Amazon announced an update to their pitiful Kindle Web app (which previously wasn’t worth mentioning, as it just offered single chapter previews of some of their books). The new version will allow users to read entire books in their web browser without needing to install any software. It looks like Google’s bringing the heat that Sony and Barnes & Noble couldn’t. Hooray, competition! My mother bought a Kindle 3 (WiFi edition) for my wife and I and gave it to us as an early Christmas present. She had intended to buy us a portable GPS for our cars, but I suggested she spend her money on the Kindle instead. My wife was more excited than I was when we actually had the device in hand, but I’ve been using it more than her so far (though this is mostly due to her enjoying Sondheim’s autobiographical coffee table book, Finishing the Hat, which isn’t available digitally). More on my thoughts on the device and why I caved (despite my problem’s with Amazon’s anti-ePub model) when I compare it to Google’s new eBooks store in the next post! 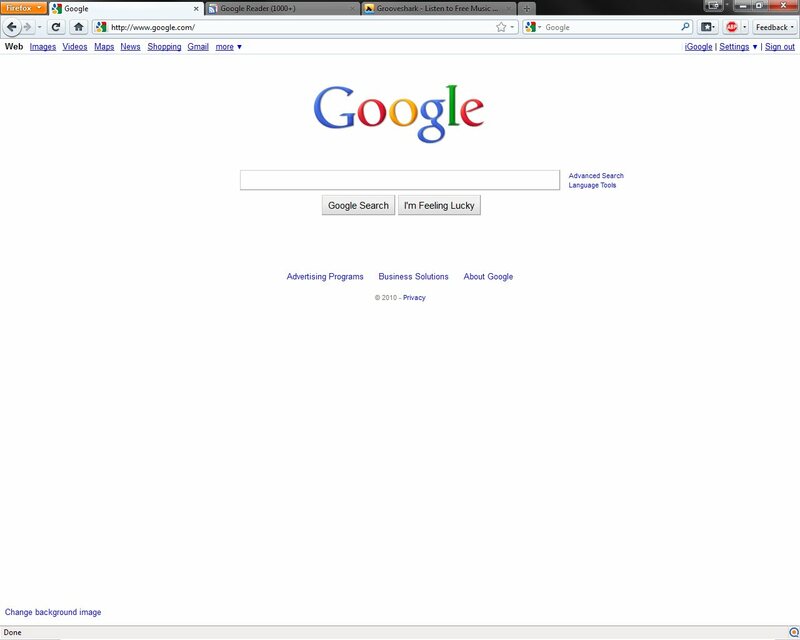 I’m impressed with how much better than Firefox 3 the Firefox 4 betas look (especially on Vista/7 Aero). 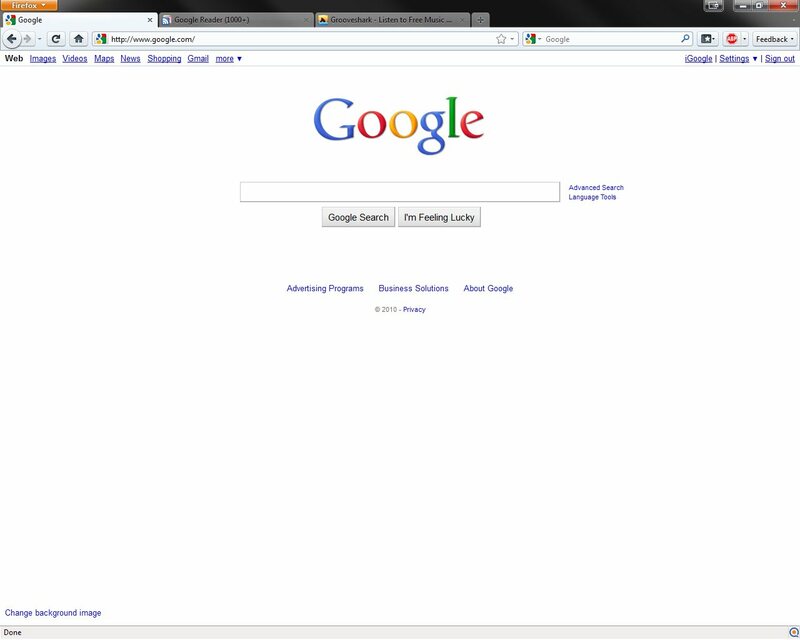 However, when compared to Opera, Firefox’s UI (user interface) still has a major flaw. When the Firefox window is maximized, those fancy tabs they finally placed at the top aren’t pushed all the way to the top like they are in Chrome. 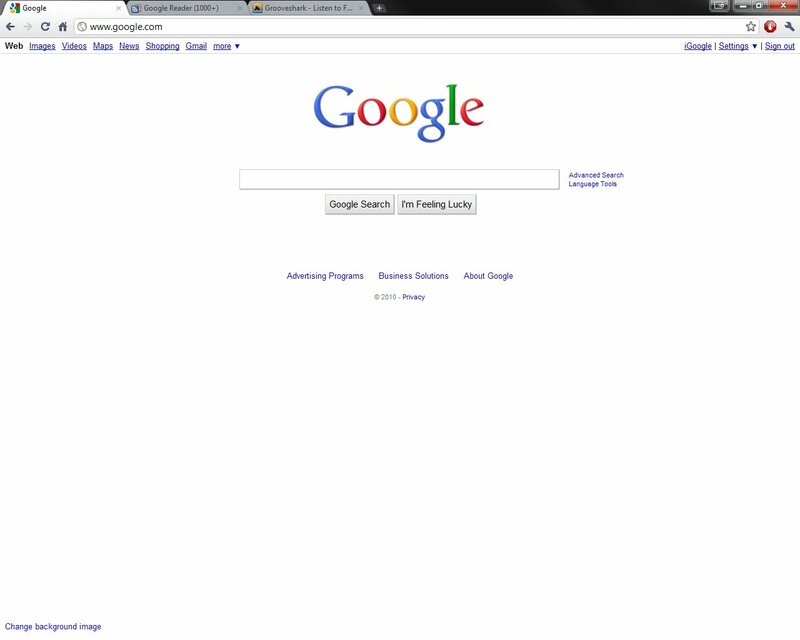 Instead, there’s a strip of useless, wasted screen real estate that doesn’t work well or look good. Click a cropped screenshot for an un-cropped version. Thankfully, since Firefox is so customizable, users can change this a bit and make Firefox’s UI a little better by editing their userChrome.css file as detailed here and here. However, the hacks I’ve seen all still leave some ugly quirks behind. If the Firefox UI devs don’t improve this before they make a formal release, I hope some crafty theme developers make some slick versions that look even better than the userChrome.css hacks. This post isn’t very relevant to the usual (if you can even call these sparse posts usual) subject matter around here, but I wanted to get this information out on the Internet to hopefully save somebody else the trouble that I went through today. If you’re planning to install a 3rd party, single DIN car audio head unit (CD player stereo/radio) in a 2001 or 2002 Mitsubishi Mirage, you probably don’t need to buy a dash kit. In fact, I’m willing to bet that most Asian designed cars (because they use single or double DIN factory stereos) don’t need dash kits to install an aftermarket, single DIN stereo. E Ink is good stuff. Gone is the eyestrain of staring in to a glowing screen for hours. Gone is the battery sucking LCD display. E Ink makes sense. But when E Ink devices are only now starting to dip down to reach the $199 price point (unless you look at used/refurbished devices), Mobile Internet Devices (MIB) like the SmartQ are starting to make a lot more sense. For almost the same price as an E Ink device, you can buy a device with a bigger screen that’s in color and capable of playing video, as well as supporting a variety of opening systems and third party software. Sure, being a jack of all trades, such a device is not a master of reading e-books. But I suspect it’d be good enough. And for the record, I’d prefer to have a smartphone like the iPhone or Droid and carry my my e-books around in my pocket at all times, but I can’t justify the monthly charges for a fancy data plan.